Fethullah Gulen’s movement was founded by the US special services, claims a Turkish prosecutor. Authorities in Ankara have accused the US-based cleric of masterminding the attempted military coup on July 15. The Gulen movement has the same structure as the Mormon Church and the Church of Scientology in the United States, Zafer Dur, a prosecutor in the Aegean province of İzmir who investigated the movement’s financial links, said in the indictment against the cleric, as reported by the Hurriyet Daily News. Such similarity could be an indication that it was actually created by the CIA, because the agency established these sects disguised as non-governmental organizations to “make changes to society,” the indictment reads. Dur also stressed that the network that the Gulenists built in the fields of education, heath, political, technology and culture resembles these two churches and has the same goals. He pointed out that Gulen, who is only a “primary school graduate” and has lived in the US since 1999, would not be able to create such a large organization that infiltrated various state institutions in Turkey solely through his own efforts. “Without international backing, Gulen could not have opened schools in 160 countries,” Dur said, according to the Hurriyet. He also claimed that the members of the Gülen movement worked directly for foreign intelligence services. 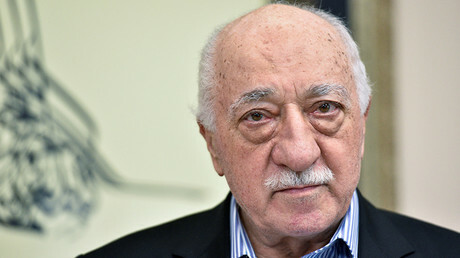 “Investigative journalists have been reporting that [Gulenists] worked as contractors for foreign intelligence services such as the CIA, MI6 and BND and infiltrated into the intelligence services of other countries acting in the name of the services they worked for,” Dur said in his indictment, referring to the US, British and German intelligence services. This is not the first time that Turkish officials have accused US intelligence of providing assistance to the Gulen movement. In late July, the Edirne Public Prosecutor’s office issued an indictment, which said that CIA and FBI provided training for the cleric’s followers. It also said that Gulen loyalists that received US training later infiltrated judicial and security institutions, and that some other foreign secret services were also involved in training the coup plotters, according to the Turkish newspaper Yeni Safak. On July 25, Yeni Safak claimed that retired US Army General John F. Campbell, the former commander of NATO forces in Afghanistan, was behind the foiled coup attempt. Campbell sent more than $2 billion in transactions to Turkey via Nigeria in order to distribute it among the pro-coup military, the paper reported, and accused the US general of managing the soldiers involved in the rebellion. Washington has dismissed the allegations against the general, with White House press secretary Josh Earnest calling them unsubstantiated. 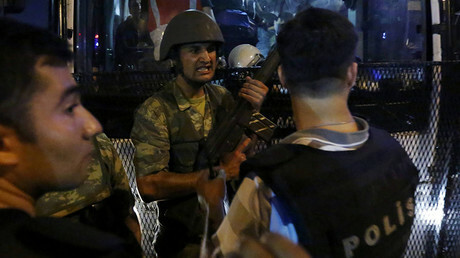 Relations between Washington and Ankara have soured after the foiled coup attempt on July 15. Some Turkish media and even government officials, including the labor minister, claimed at that time that the US was somehow involved, despite an outright denial from Washington. Turkey also repeatedly slammed the US for harboring Gulen and demanded his extradition. Washington has long refused to do it until clear evidence of the cleric’s involvement is provided. On August 24, Turkey filed a formal request asking the US to extradite Gulen. The State Department confirmed it received the request, but did not provide any further details. Earlier in August, Turkish President Recep Tayyip Erdogan issued an ultimatum to the US, saying it must choose between Turkey and the US-based Turkish cleric. Gulen was a popular preacher and former imam before setting up his own movement. He was a firm ally of Erdogan as the Turkish leader rose to power, but the two fell out and have become bitter rivals. Gulen has vehemently denied accusations of masterminding the coup, and even alleged that Erdogan staged it himself for his personal gain.